Hello? Hello!? If your keys have a habit of wandering off, maybe clipping them onto this miniature telephone will make them a little easier to get hold of. 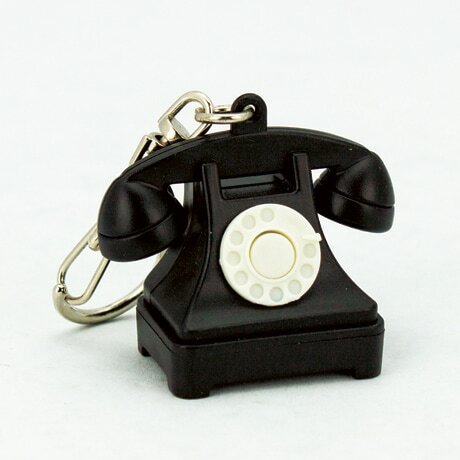 Charmingly styled after a classic 1940s model, the 1½inch phone rings once when you push the dial, then speaks the message "We're sorry, the number you have dialed is not in service at this time."